When you come to our home for dinner, chances are you will always see a salad on the table. Salads are a great way to boost our intake of greens and are a perfect accompaniment to any meal. As an Ohioan, we are no stranger to the four seasons. 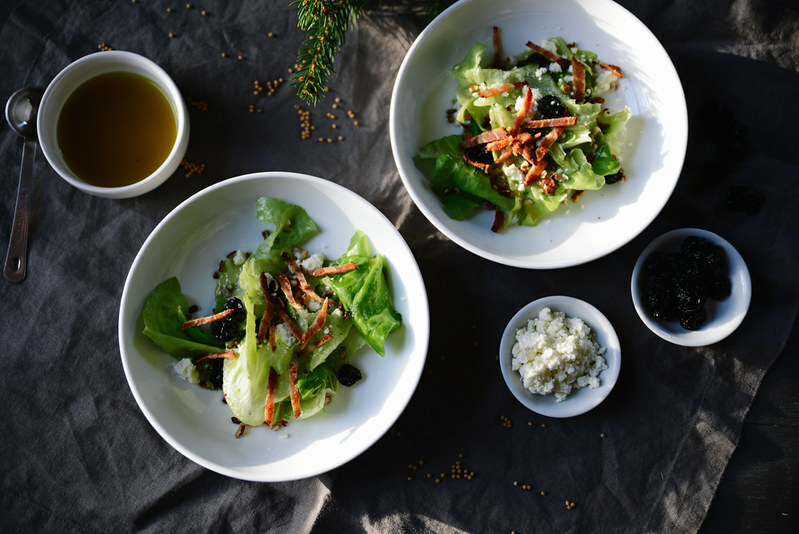 Salads allow room for creative play and inspiration when it comes to seasonal ingredients. You'll probably notice (especially if you follow me on Instagram) that my honey mustard vinaigrette is my go-to dressing. I usually make it in a large glass jar and keep in the refrigerator for up to a week. I made a couple tweaks to this recipe and will share it with you next week over on EarthFare's blog, The Vine. 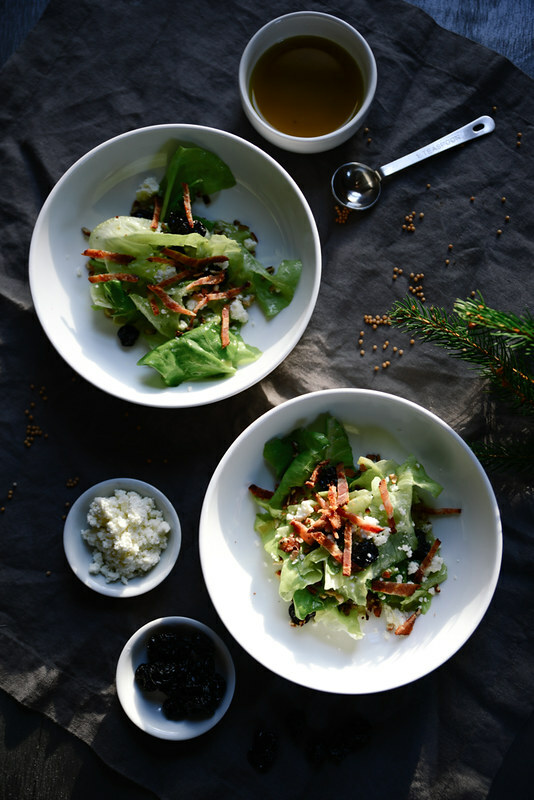 In the meantime, here is a great winter salad that is simple and full of flavor. You could easily turn this into a meal by adding grilled chicken, chopped kale and walnuts. 1. Place all dressing ingredients into a tall glass jar and mix with a whisk or immersion blender until combined and creamy. 2. In a large salad bowl (I love my wooden salad bowl - and it's on sale!) 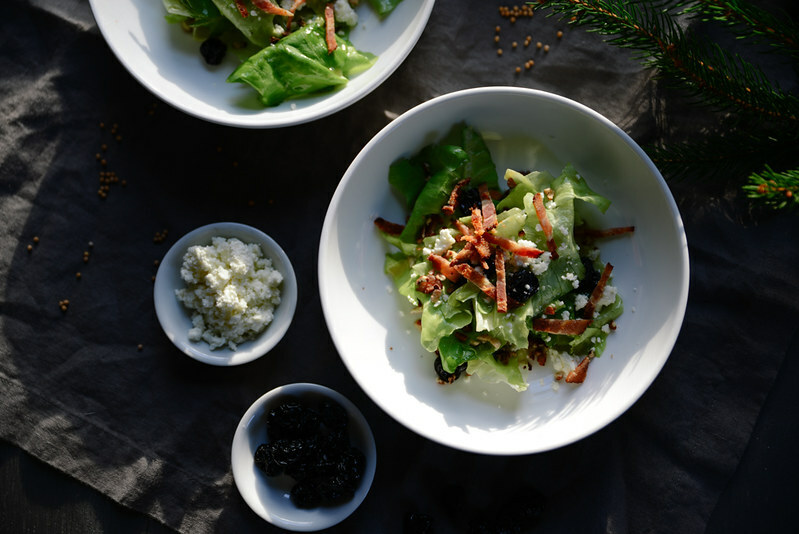 toss together the bib lettuce, feta and cherries. 3. Toss with the dressing and sprinkle the bacon on top. *On SCD feta may be used after about 6 months of improvement, but used only in small amounts. You can substitute with blue cheese or Parmesan. *Dried fruits are tricky and most contain added sugar and other ingredients. Make sure the only ingredient is dried cherries. Here is one we like. This looks great! I use "fakin' bacon" (as I've heard it called) and can't wait to try the salad recipe with this small modification. "Fakin Bacon" would totally work too :) Or even omit and try pine nuts.